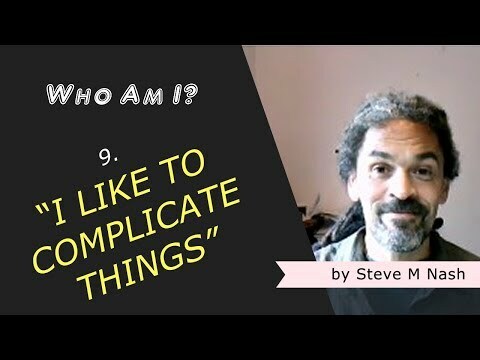 I Like To 'Overcomplicate' Things | Who Am I? Hah, that might be how I’d start my autobiography, if I ever wrote one, with a little nod to Jed McKenna and Herman Melville. But is it true, do I like to overcomplicate things or is it me just doing what I know (until I know better)? Am I more Radiohead than Oasis? Am I more “If On a Winter’s Night a Traveller” than “Harry Potter”? Am I more Kandinsky than Matisse? Who can say. I’m just me. Steve-M-Nashness personified. I’ve no idea how to be human any other way. I also know that simple is ‘better’ than complicated, but complicated is also as simple as it gets sometimes.